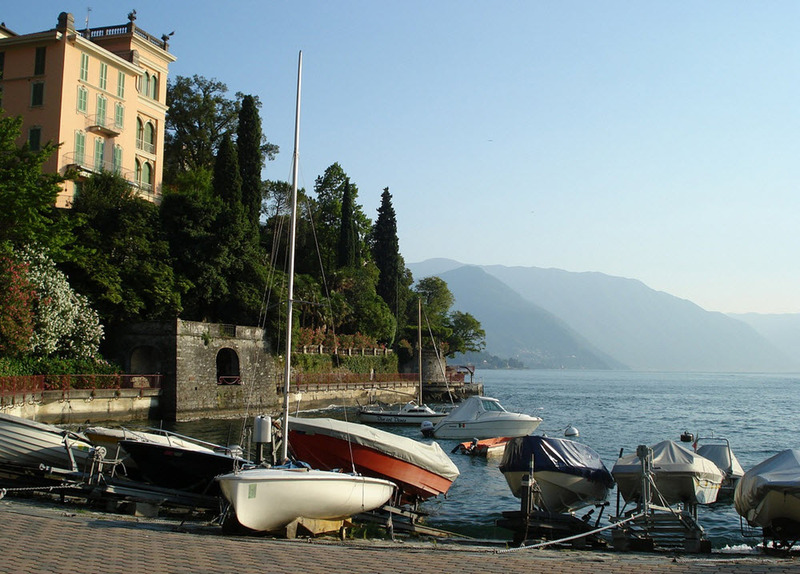 Here are a few suggestions on things to do when visiting the Lake Como area. In the hills and mountains surrounding the lake, you’ll find beautiful hiking opportunities for various skill levels. One example of a great starting point is Menaggio, from where you will have several hiking routes to chose among. The tourism office in Menaggio can provide you with up to date information about the hiking conditions. Another great choice for hiking/walking is the Lake Como Greenway, a 10 km walkway on the western side of the lake, from Colonno to Cadenabbia. The stretch from Colonno to Messegra consists of high-level footpaths above the lake road. The route from Messegra to Cadenabbia is mostly lake-front. The Italian stage of the World Cup of Kitesurfing takes place in Colico, and this city is (unsurprisingly) home to schools were you can learn the hobby and rent kitesurfing equipment. There are a lot of parties being thrown in and around lake Como. These parties are often private and you can not get in unless you are invited. I do however want to mention them anyway since a lot of corporate parties are held in the Grand villas of lake Como. Many people visit the lake as a part of a corporate retreat and up falling in love with it. Returning year after year. Exactly which companies hold corporate parties in the Villas around the lake is a secret since the companies does not advertise these parties. Their location and time is usually only known by the people attending and the staff working at the parties. The staff is not allowed to talk about the different events they work at. Among the companies that are rumored to hold parties on the shores of lake Como you find IQ option. A large international broker who offer retail investors the opportunity to invest in CFD certificates, Binary options, crypto currencies and a a number of other financial instruments. IQ option has a very good reputation and was named best binary options broker 2018 by binaryoptions.net. Other companies that are rumored to have regular parties on lake Como include several movie studios that are said to hold parties in George Clooneys villa Oleandra. It is however very unclear whether these parties really are arranged by the movie studios or if they are George Clooneys private parties with a lot of representatives from the movie industry present. Travelling by boat on Lake Como doesn’t have to break the bank, because the region’s network of public transport includes many boat lines that connect the communities along the lake’s shores with each other. Buy a ticket and travel like a local. Around the shores of Lake Como and in the cities and towns, there are plenty of shops that sell locally made gelato. Which one will become your favourite? Gelato is an Italian type of rich and flavourful ice cream made from a base of milk, cream and sugar. Gelato is typically flavoured with fruit and nut purees, and tend to contain less air and more flavourings than “standard” ice creams. In Italy, gelato is required by law to contain at least 3.5% butterfat. A funicular runs from the city of Como to the mountain town Brunate, which lies some 500 metres above Lake Como. The views over the lake and the surrounding mountainous landscape are amazing. The Volta Lighthouse is a fairly short hike away. As long as the horsepower is low enough, you don’t need a boating license to go boating on Lake Como. The places that rent out motor boats know the limits and usually have plenty to offer for visitors without a license. Several cities and towns along the shore have sailing schools. There is for instance a popular sailing school in Colico. The Lake Como area is famous for its abundance of spectacular villas with mesmerizing parks and garden. Fortunately, some of them are open to the public. You can for instance visit Villa Carlotta in Tremezzo and Villa del Balbianello on the Dosso d’Avedo peninsula. The Aero Club in the city of Como arranges tourist flights over the lake in their seaplanes.